Bhim Aadhar scheme is the latest merchant app that is launched by PM Narendra Modi. The application is one of its kinds that can be used to collect payments from your clients. The app allows you to request payments from clients using the Aadhar Identity. 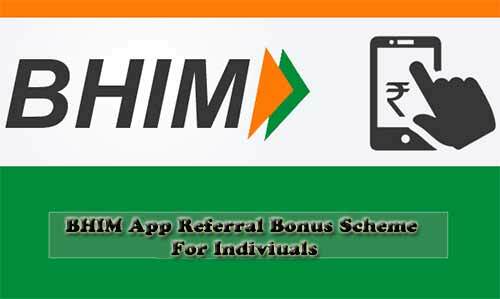 PM has also implemented two new schemes namely Bhim cashback and Bonus referral scheme. Both these schemes are lunched for merchants and customers. Mr. Modi has implemented the two schemes under Bhim Yojana with an aim to boost the use of Bhim app. Apart from this Prime Minister also aimed at introducing better methods of digitalized payments. PM has also launched the schemes in Nagpur for anyone who is willing to use the Bhim app. Apart from this government has also announced an overall budget of Rs 495 crore that it shall be investing in a period of six months. Under this scheme the government shall be offering with cash incentives for new and old users of Bhim app. Apart from this government has also stated that the incentive shall be offered to anyone who introduces this scheme to a new user. Apart from this, the incentive shall also be transferred in the customers account. An amount of Rs 10 will be offered to the user in his bank account. This scheme is launched with an aim to offer cashback benefit to the merchants. It is certain that any merchant performing transaction via Bhim shall be eligible to get cashback offer for the transaction. It is certain that under these two schemes (Bhim Cashback and Referral bonus) the government aims to promote the usability of Bhim app. This will also help promote the usage of digital payment methods amongst people. This step is taken by the government to help promote cashless transactions economy in the country.